Here’s an excellent income property investment located in Makati City Philippines. This four (4)- storey commercial building with a roofdeck has a total lot area of 555 square meters and a floor area of 2000 square meters. This corner property is currently fully tenanted and offers an excellent return on investment ! 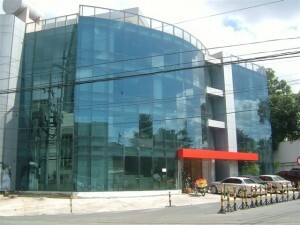 The owner has aggressively priced the property for sale at Php 145M. Details on income and tenancy is available upon serious offer. For further details on this rare opportunity, please call or email our office. thanks and warmest regards. glennis.